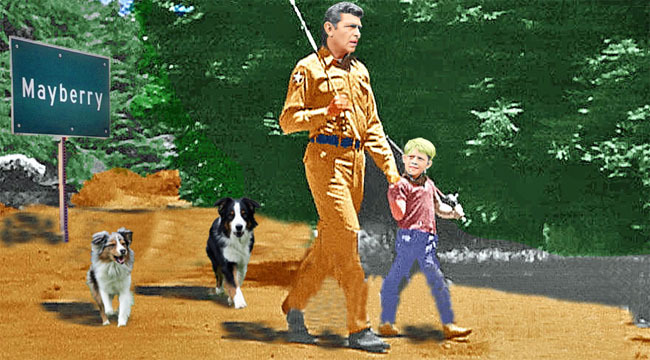 ANDY GRIFFITH ON CROSSCURRENTS, 6/1: – Doggedly Yours… Howling, Humor, and History. ANDY GRIFFITH ON CROSSCURRENTS, 6/1: His unpretentious demeanor entertained audiences on the stage, screen, and most notable as Mayberry’s Sherriff Taylor on television, Andy Griffith was born on this date in 1926. Gavin and Wyatt follow Andy and Opie on the road out of town to their favorite fishing spot. You are invited to travel to your hometown city limits and join John as he plays small town country tunes for the Andy Griffith birthday on Crosscurrents, 6/1 at 8 a.m.